The Healthy Feet Store is a website that features orthopedic, therapeutic, and diabetic shoes for men, women, and children. Here, you can find doctor-recommended products and detailed information about these products in addition to general foot health facts. With Big Apple Buddy’s personal shopping service, you can now buy direct from the Healthy Feet Store online store anytime, anywhere. Women can choose from a variety of shoe styles at Healthy Feet Store, including athletic shoes, boots, and clogs. The Finn Comfort Charlotte shoe is a sporty lace-up style that will protect your feet with the cushioning of Finn Comfort footbeds. Perforation details on the side of the shoe allow your feet to breathe while you walk and the shoe’s rubber sole absorbs shock to prevent harm against hips, knees, and spine. The shoe comes in blue, red, silver, or brown colors, so choose which style you like best! There are a variety of options for men to choose from as well, from casual, everyday shoes to athletic and boat shoes. 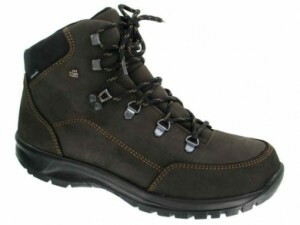 The Finn Comfort Tibet Hiking Boot ensures your feet stay comfortable and healthy during those summer hikes. The boot is designed to withstand any outdoor elements, and the deep heel cup provides stability and extra support. This style is also available in women’s sizes. Healthy Feet Store also provides shoes that will keep your little ones’ feet protected and comfortable. Answer 2’s Boys & Girls Youth Shoe are specifically designed for children who have a foot problem that requires them to wear any kind of rehabilitative footwear. This athletic shoe has an adjustable depth and come with inner soles of varying thickness, ensuring the shoe will be the perfect fit for your child. And best of all, the sneaker looks just like any other athletic sneaker, so your child can confidently wear them around and still remain comfortable. Unfortunately, the USA Healthy Feet online store does not currently offer international shipping. However, Big Apple Buddy, your personal shopper, can help you buy products direct from the official USA Healthy Feet store and ship them to your doorstep, no matter where you are in the world. If you would like to buy from the USA Healthy Feet online store, simply let us know which items you would like to order (by filling out the form below) and we’ll get back to you with a free international shipping quote within 24 hours!